Büro Group, a South Florida co-working company, opened its fifth location in the SOMI Center building located at 5966 South Dixie Highway in South Miami. Since opening its first space in Midtown in 2010, the Büro community has grown to include over 500 dynamic companies providing vibrant co-working spaces in Miami’s best neighborhoods. Its other locations are in Sunset Harbour, MiMo and Coconut Grove. “We are proud to be part of the changing local business landscape and thriving entrepreneurial ecosystem,” says Michael Feinstein, founder and CEO. 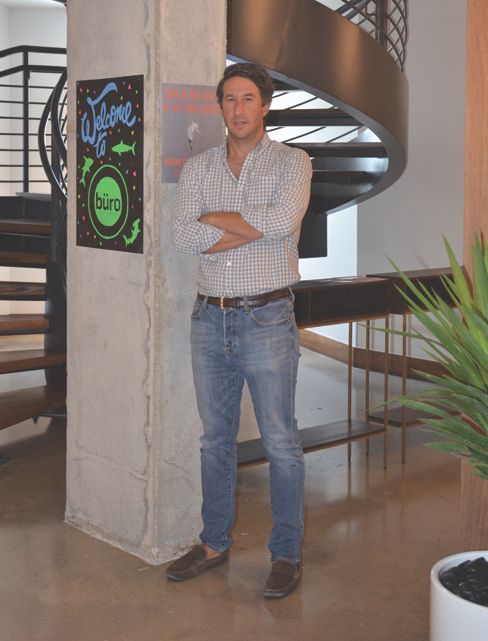 Hailing from Montreal, Feinstein moved to Miami in 2009 after spending seven years in London, working in real estate development and hospitality management. He observed that there were “no great options for creative work space. Starbucks and coffee shops housed entrepreneurs – there’s got to be a better way!” And with a $1 million investment and branding of the concept, Feinstein opened his flagship location in Midtown. 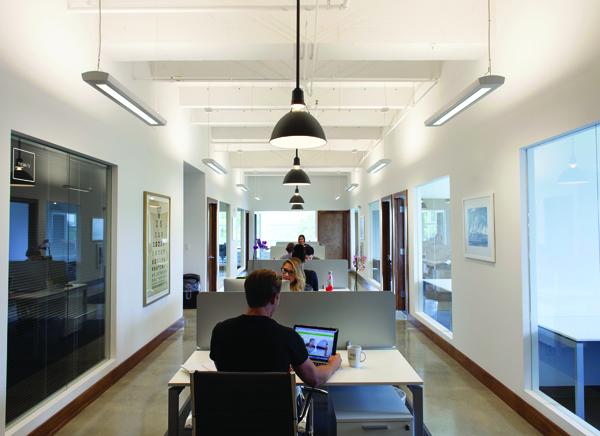 “Büro is all about community, creativity and flexibility. We want to pull entrepreneurs and freelancers out of lonely living rooms and unproductive coffee shops. We want to rescue small companies and creative agencies from soulless office spaces and executive suites. We want to bring together smart and talented people from diverse industries to form a powerful and inspiring community,” espouses Feinstein. Büro SOMI opened in June 2017, and in the first six weeks, 18 out of 31 spaces are occupied. Roughly 50 companies are expected to share this new space. 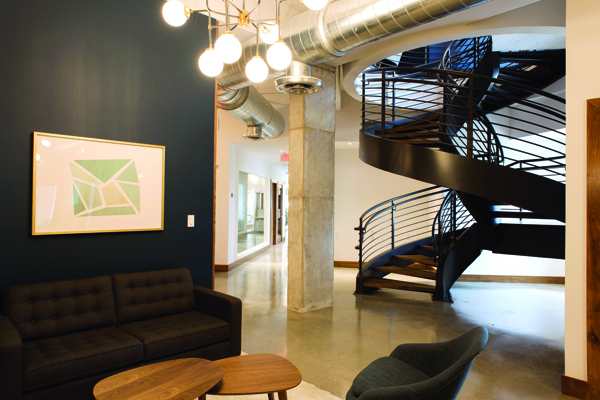 Like its other locations, Büro SOMI offers upscale stylish communal spaces with fflexible month-to-month membership and workspace options for individuals and teams. Members of Büro SOMI also benefit from monthly networking events, workshops, and exclusive discounts at restaurants and shops. Its locations serve about 800 members from 350 companies attracting entrepreneurs, freelance workers, creatives, small businesses and satellites for national and international corporations, including Airbnb, Gilt Group, Glamsquad and Lyft. 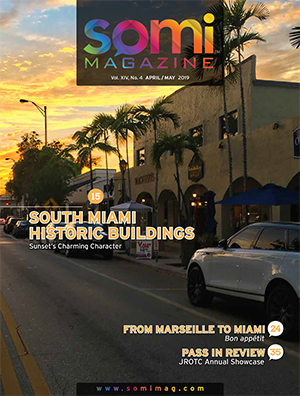 At the SOMI location some of the companies are: Emerge Americas, Thema TV, a French company, Silver Rock Financial, a hedge fund, Agranco Corp, U.S.A., an agricultural distribution company, real estate company Connect the Dots, and creative firms such as Marini Design, and SimpleFly. Noted Italian restaurateur Graziano Sbroggio is bringing SPRIS Artisan Pizza to SOMI. Graziano comes from Treviso in the Veneto region of Northern Italy. He first came to Miami in 1990, and worked at Miami’s popular restaurant TiramesU. By 1997, he was the managing partner and a co-owner of the establishment. 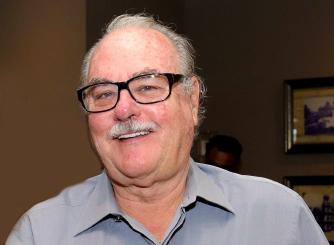 Then, relying on his entrepreneurial know-how and business foresight, he relocated TiramesU to the Lincoln Road strip where the restaurant quickly became one of South Beach’s most popular Italian restaurants. 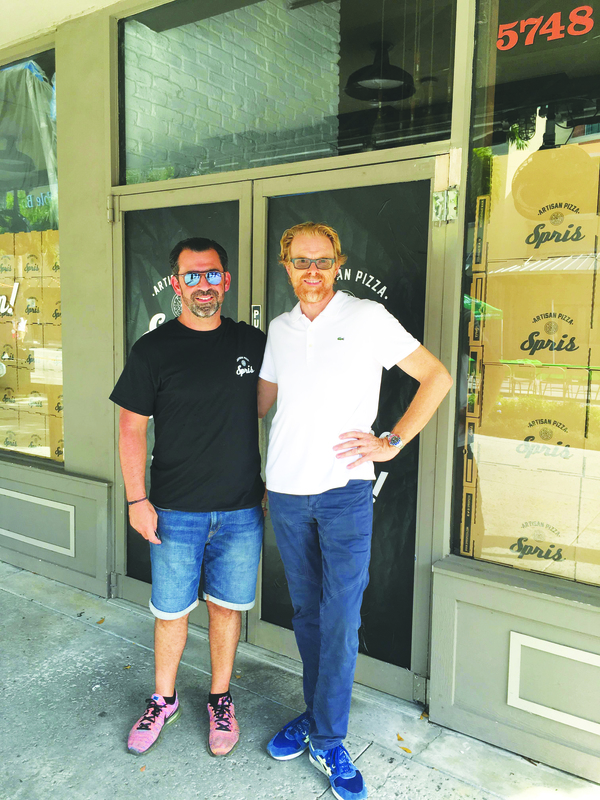 Since 1998, Spris has brought authentic brick-oven pizza to South Florida, and with its super-fresh ingredients, crispy thin crust, and artisanal approach to food quickly made Spris THE place for a casual healthy bite in South Beach. 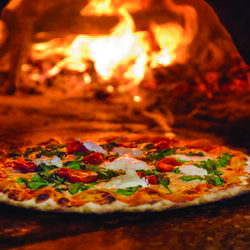 Unlike so many of its competitors, Spris makes pizza the old-fashioned Italian way, letting the dough rise overnight. Ingredients also are from Italy: organic flour from Molino Grassi and olive oil from Costa d’Oro, which make for an authentic dough! Sbroggio exclaims that “we are driven by our ‘Passione Italiana!’” He has established a reputation for creating truly welcoming and pleasing restaurants. The SOMI location is the first of his franchises, owned by David Funes. July Fourth event in Palmer Park. Welcome Graziano and David, and buon appetito South Miami! Auguri! Our shopping and dining district in SOMI is gearing up to welcome new eateries, retail stores and personal service salons and clinics over the coming weeks. For food offerings alone, we’ve got urban Mexican style coming, a chicken grill restaurant, a place to enjoy traditional Italian sandwich, gourmet sushi, and a fast food Mediterranean favorite. 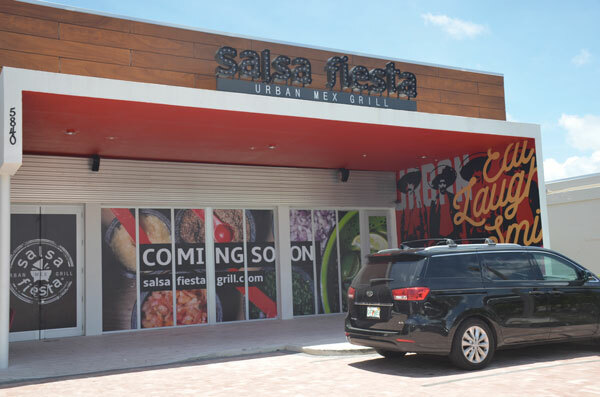 With eight bustling locations in South Florida, a new Salsa Fiesta is getting ready to open on SW 71 Street off US1, next to the popular La Pizza. Salsa Fiesta is a family-owned restaurant that delivers refreshing energy through flavorful urban Mexican style food, serving up gourmet burritos, tacos, salads, soups and homemade salsas. Natural Chicken Grill is planning its opening in September. 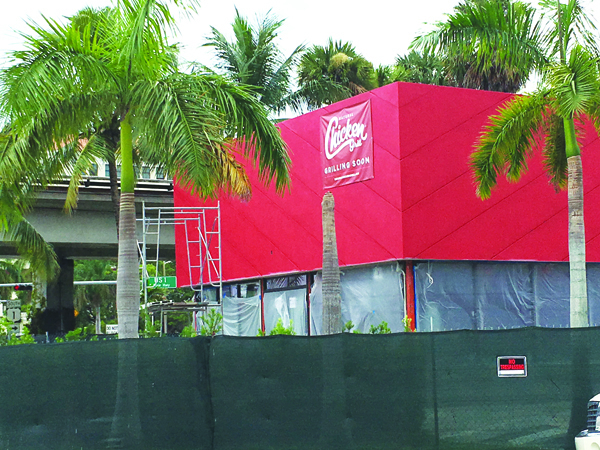 Located at SW 57 Avenue & US1, the site of the former home to KFC and Pizza Rustica, the new owners have completely gutted the building and creating a high energy look. With other successful locations serving up flavorful chicken chops and more, this spot is bound to be a popular destination. 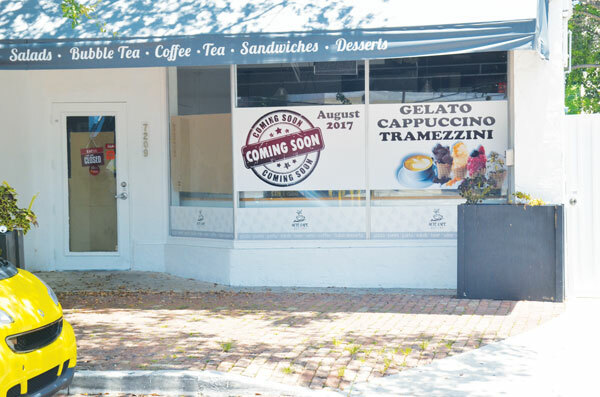 New owners have taken over Arte Bistro Café on Dorn Avenue (SW 59 Avenue) next to Blu Pizzeria, and will be serving up gelato, cappuccino, and tramezzini, a very common triangular sandwich originally from Northern Italy and the Veneto region. With popular locations in Boca Raton and North Miami Bonito Gourmet Sushi recently received City of South Miami approval for its restaurant on Sunset Drive in one of the two side by side vacancies across from Sunset Place. And lastly, a popular Middle Eastern specialty Falafel is coming to Sunset Drive where Brewski’s was located. Add into the mix of new businesses are Eyebrow Design, the largest group specializing in eyebrows in the world, coming to 5838 Sunset, Esthsio Clinic by SevMyLook on Red Road next to Consign of the Times, and CBD Gallery at 6104 South Dixie. A new start-up retail shop Urben Gifts & Gadgets on 5802 Sunset Drive is planning an August opening. Learn more about these businesses in the next issue of SOMI Magazine. 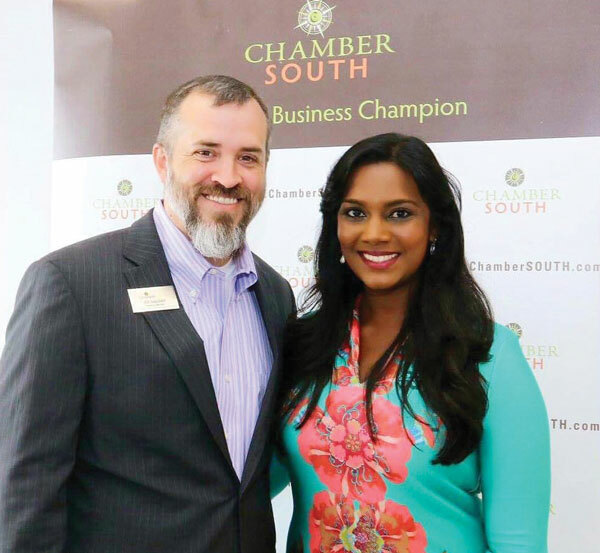 ChamberSOUTH Chair Joe Gallaher with the new President & Executive Director Brittnie Bassant. Brittnie Bassant was introduced to ChamberSOUTH members in mid-July at the monthly networking luncheon. Ms. Bassant was hired by the Board of Directors and began her duties at ChamberSOUTH on Monday, July 10. She has extensive professional experience in community organizations and civic government, and will be a great asset to the 86 year old institution. Brittnie Bassant’s appointment and chamber plans will be featured in the next issue of SOMI Magazine. 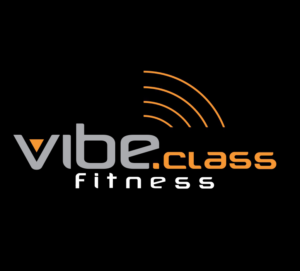 SOMI is feeling the vibrations coming from its newest fitness studio VIBEclass. Located on the second level at 5885 SW 73 Street (above Khoury’s Restaurant), the multi-dimensional training method creates maximum results in less time, with a whole body work-out in just 30 minutes. 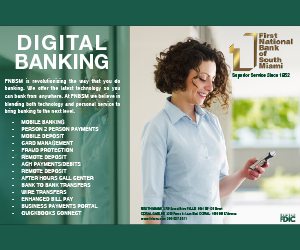 Call 305.397.8398 to schedule your session. Stem Cell Centers of Excellence opened its South Miami location at the newly renovated 7800 Building on Red Road. At the center, through a minimally invasive procedure, adipose stem cells are administered to the site of injury or disease, using your body’s own regenerative abilities to restore and regenerate damaged tissue. At the state-of-the-art center of excellence, clinicians use innovative techniques and the latest technology to provide regenerative treatments. 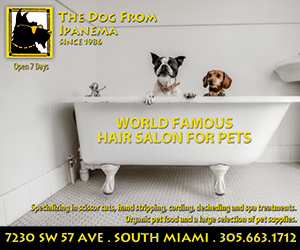 7800 SW 57 Avenue, Suite 203. Tel: 786-207-4441, info@stemcellcoe.com. Natur House, an international business based in Spain with more than 20 years of experience, with 2,000 establishments world-wide in 26 countries, recently opened its South Miami location at 5731 Sunset Drive. Natur House Group is a business group working in the nutrition and weight management industry, with its own exclusive business model based on the “Naturhouse Method”. 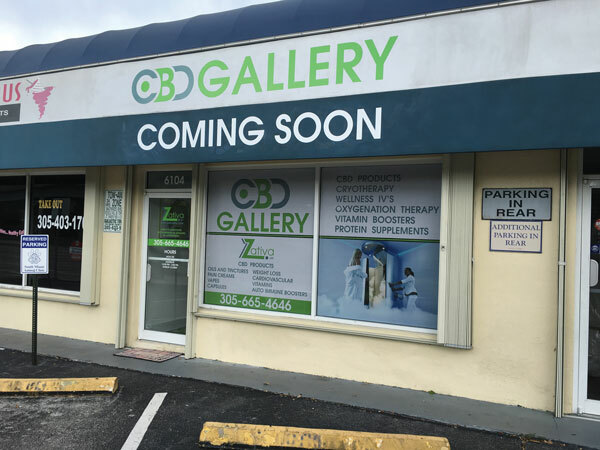 Davide Castellano’s FresHealthy concept which opened recently on the east side of Sunset Drive is already expanding and opening a new location in downtown Miami. Congratulations Davide, auguri! Thursday, September 28, 2017, 7:30p Unitarian Universalist Congregation of Miami. 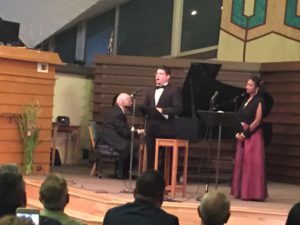 7701 SW 76th Ave.
Tickets: $10 *proceeds benefit arts programs for vulnerable youth.